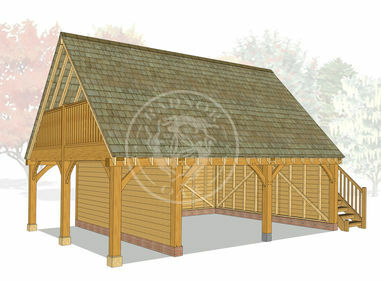 Our original lofted oak framed building, the Norton includes a first-floor structure which is supported by impressive, deep oak beams. 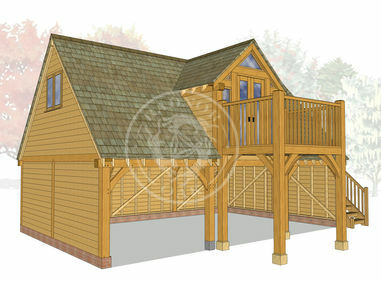 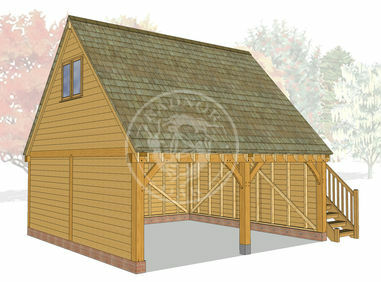 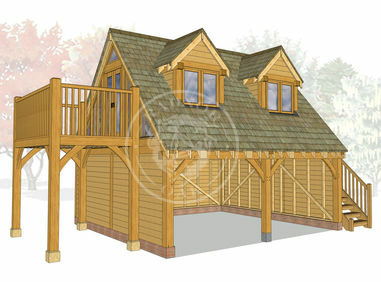 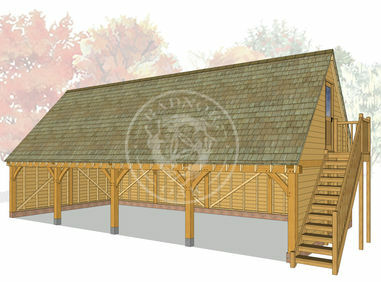 Incorporating all of our trademark signatures; a traditionally jointed green oak frame with substantial framing timbers and knee braces, heavy duty ancillary framing components and our own concealed weatherproofing system. 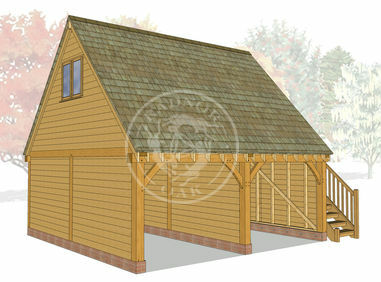 The versatile roof space of the Norton has been used for games rooms, ancillary accommodation, offices, playrooms. 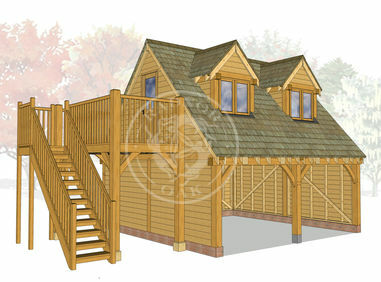 Access via an external staircase maximises the room available and creates a spectacular oak framed coach house. 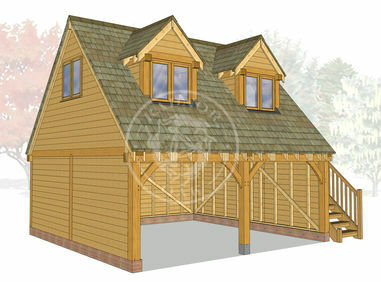 Choose between roof lights and dormers to light the loft with the Design Your Own tool, or take a look at our range of bay width dormer windows to personalise your Norton, and create an additional 7m³ of useable space in the upper floor. View our range of Dormer Windows, Gable Balconies, Covered Balconies, Dormer Balconies and Glazed Gables to customise your Norton Oak Framed Building. 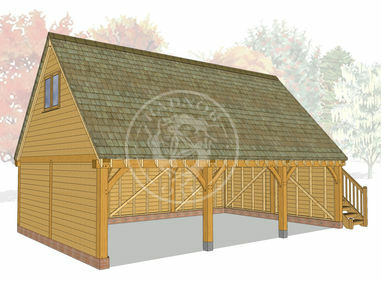 If you would like to include these features in your building please include a note of the product codes in the Description box when requesting a quote. 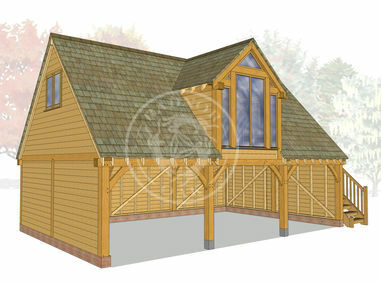 As The Norton is over 4m you will require planning permission, we advise that you speak to your local authority for further information. Radnor Oak can supply planning drawings for a small fee (refundable when an order is placed for that building).